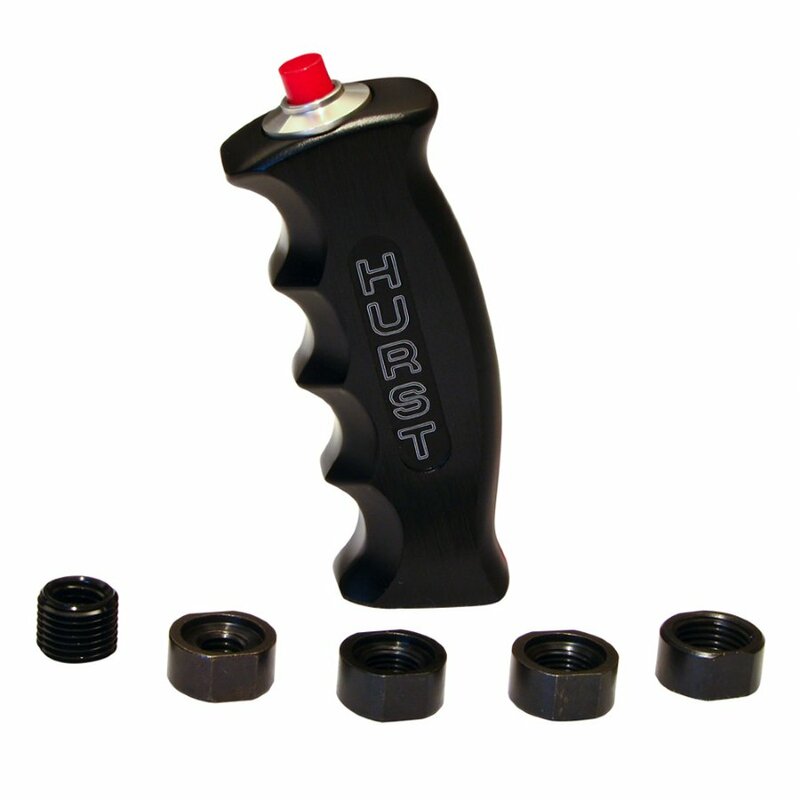 Hurst 1536210 Black Pistol Grip Handle w 12 V Switch, Billet Aluminum, Universal Thread "
Our Products: Knobs, T-Handles, Etc. Hurst 1536210 Black Pistol Grip Handle w 12 Volt Switch, Black Anodized Billet Aluminum, Universal Thread. Fits Manual Transmission Sticks with SAE 1/2-20, 7/16-20, 3/8-16 and also Metric M10x1.25, M10x1.50, M12x1.25, M12x1.75 and M16x1.50 thread size. CNC machined from solid billet aluminum and clear aluminum finish, the Hurst Pistol Grip Shifter handle is designed to provide a firm comfortable natural grip when shifting, allowing less chance of your hand slipping and missing a shift. Now with snap action for instant activation, this handle is ideal for use with Hurst Roll/Control, trans brake, nitrous oxide systems or other 12 volt accessories.